Line of Duty, the BBC’s hit drama about police corruption, returns to our screens on Sunday. The fourth series introduces Thandie Newton as DCI Roz Huntley, the latest officer to come under investigation by anti-corruption unit AC-12. But what of viewers coming to the drama cold? Here’s a handy bluffer’s guide to help them get up to speed. After refusing to participate in a cover-up, DS Steve Arnott (Martin Compston) is recruited by Superintendent Ted Hastings (Adrian Dunbar), head of AC-12. 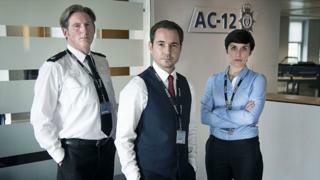 Series four of Line of Duty begins on BBC One on Sunday at 21:00 GMT.